Welcome to U.S. Commercial Service Philippines! 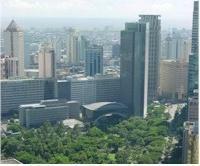 The U.S. Commercial Service in the Philippines is part of a global network of trade specialists dedicated to supporting U.S. commercial interests around the world. Our staff can help you identify potential business partners, provide information on doing business in the Philippines, and launch your company into this dynamic market. Click here to see a profile of the market for U.S. goods and services. Join An Official Trade Delegation to the U.S.! Join one of our official trade delegations under the auspices of the US Commercial Service's International Buyer Program (IBP). Visit the Official Trade Delegations to the U.S. page now to learn more! Your participation as member of our official trade delegation will provide you the following benefits such as complimentary/discounted exhibit access; matchmaking meetings with corporate officers of exhibiting U.S. companies, access to the International Business Center, and much more. Click here to know more about the Local & Regional Shows we are supporting! Click here to see U.S. Trade Shows we are supporting!